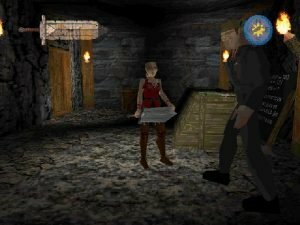 Another second-rate Tomb Raider clone. It seems like Sir-Tech is a one-trick unicorn. They’ve created one of the most cherished series in role-playing history (Wizardry), but any attempt they’ve made to step out of their mold and try new things have largely ended in failure. 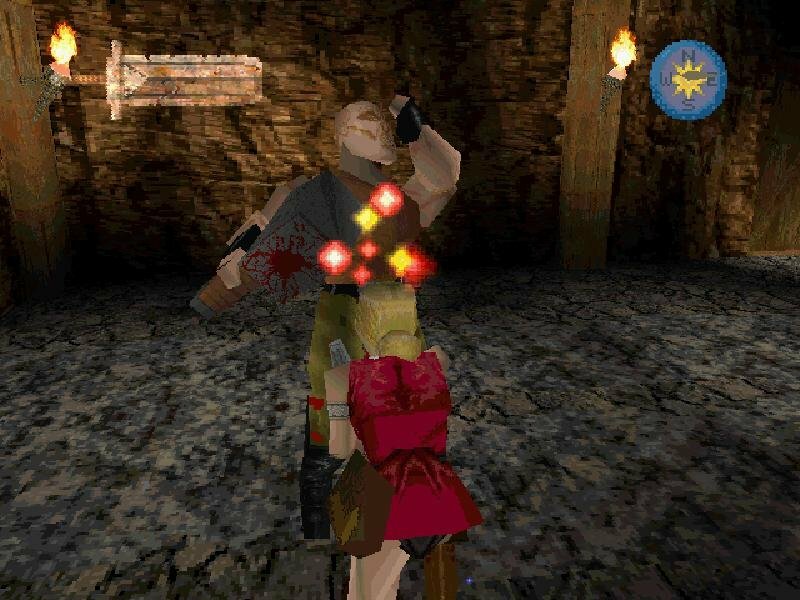 No better example epitomizes this than their horribly buggy, unfun, hideous and nearly unplayable Excalibur 2555, a Tomb Raider clone that seems to miss the mark entirely on what made the original Tomb Raider fun. 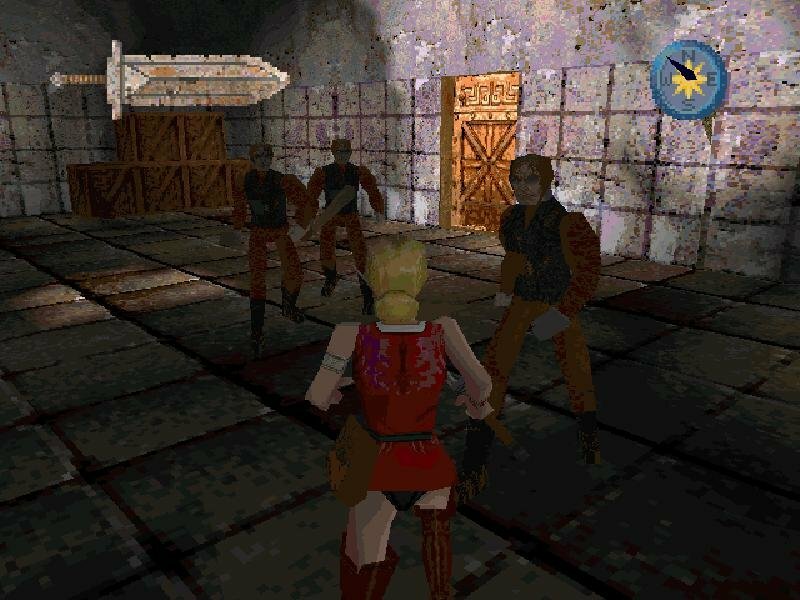 In the opening cutscene, you find out that Interstellar Bad Guys have gone back in time to the days of Camelot, and snatched King Arthur’s treasured Excalibur right out from under his nose. In order to stop those naughty time-jumpers from harnessing the mighty power of the mythical sword, you have to step into the high heels of Merlin’s niece, Beth (hmm, can’t recall that name in Conquests of the King). The bearded old mage opens up a time portal, and you pop into the future to drag that danged sword back to its rightful place. 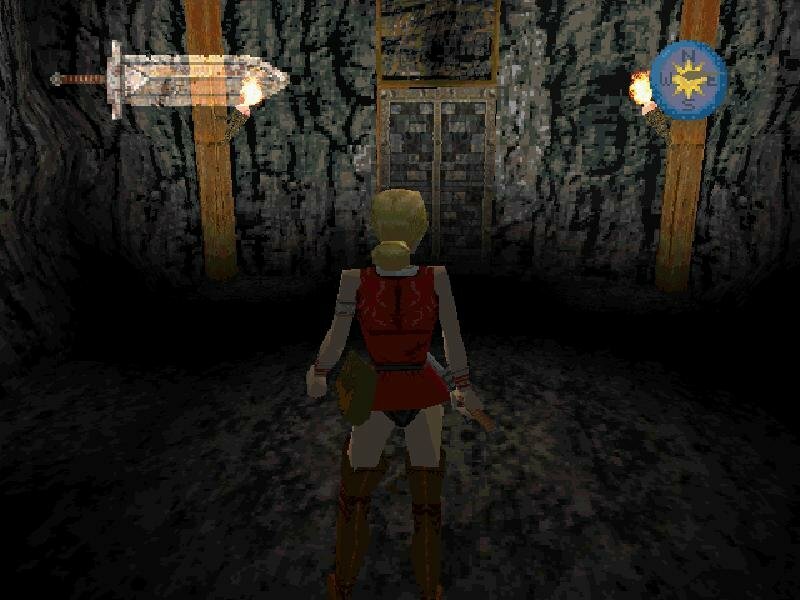 Excalibur brings back plenty of Tomb Raider deja vu. It’s played from the familiar third-person perspective, with a floating camera that tracks you from behind. But the levels are quite different from the Tomb Raider world — instead of treading through wide-open canyons and caves, you move through a series of simple, interconnected rooms, which induce a claustrophobic feel that hearkens back to the days of Wolfenstein. Though Excalibur has plenty of hack-and-slash fighting through its cramped dungeons, it’s been balanced with adventure-ish puzzle solving and item collection. Fighting isn’t quite as simple as the adventuring — Excalibur’s combat is similar to Alone in the Dark’s, but even less responsive. Holding down the action button and pressing an arrow key will perform a sword slash, and you can block opponents’ attacks by holding back (though it’s simply not feasible when you get to the later levels, which feature gun-wielding bad guys). By holding down the arrow keys, you can charge up a sword attack, but it leaves you vulnerable, and enemies can see it coming a mile away. 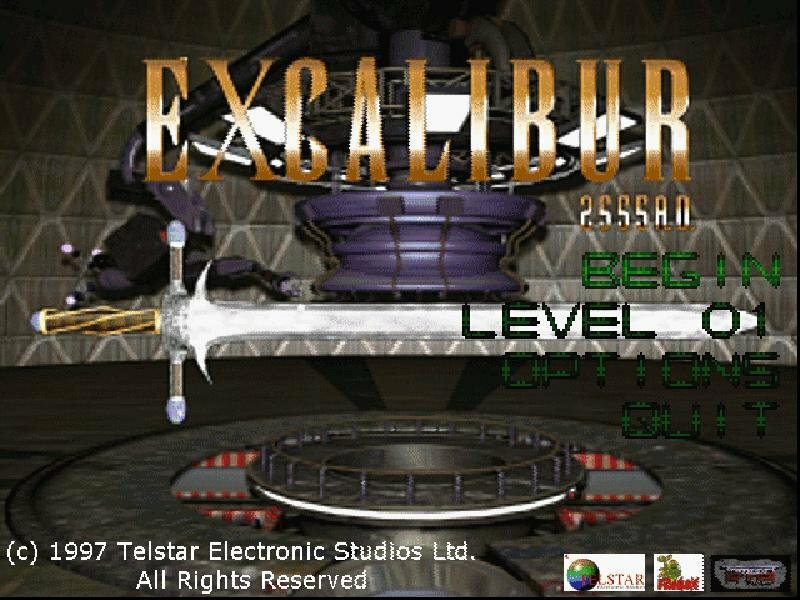 With Excalibur 2555’s barely passable adventuring and frustrating swordfights, you probably won’t keep this thing around on your hard-drive for very long. In fact, you should probably leave this Excalibur stuck in stone.